While the vigor and passion with which the devotees celebrate the festival of Krishna Janmashtami, is almost the same, different people follow differ customs and rituals within their communities and even families. Given below are the details of some common customs and rituals observed by people on Krishna Janmashtami. Most people observe a fast on the day of Janasthami and avoid consuming any kind of grain on this day. Some people might take only milk or milk products while others might observe a total Nirjala fast in which they do not eat or drink anything the whole day. The fast is generally broken around mid-night which is believed to be the birth time of Lord Krishna. Some people also break the fast upon moon rise, which generally happens around midnight on this day. In most parts of northern and western India the tradition of making swings for Lord Krishna is quite common. The swings are extremely well decorated before placing an idol of young Lord Krishna in them with each family member pulling the cord in turns as a gesture of devotion and service of the deity. This is one of the most important customs associated with Janmashtami that is quite popular in Mathura, Vrindavan, Dwarka and Mumbai. In this young boys and girls imitate the act of Lord Krishna trying to grab the pot of butter which is tied quite high up with the help ropes extending into buildings on either side of a road. Rasleela was the favorite game of Lord Krishna, which is why thousands of pandals are set up across the country to enable men and women of all ages to take part in this fun filled dancing ritual that reflects the deep love of Lord Krishna for his devotees. 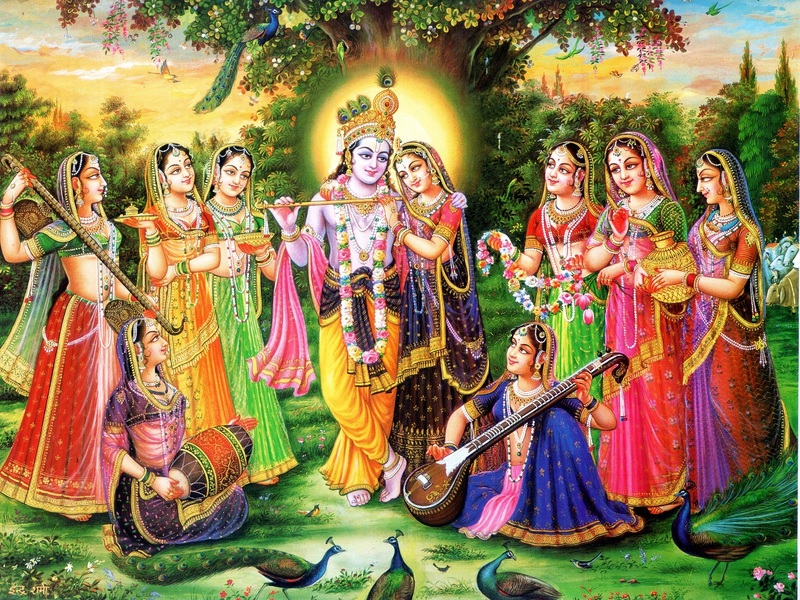 According to the scriptures, year 2015 will be 5242th birth anniversary of Lord Krishna. The day will fall on 5th September of the Georgian Calendar and the Nishita Puja time will be from 23: 56 min to 24: 42 min.